The 2014 Front Line Defenders Annual Report highlights the dangerous environment in which many human rights defenders operate. 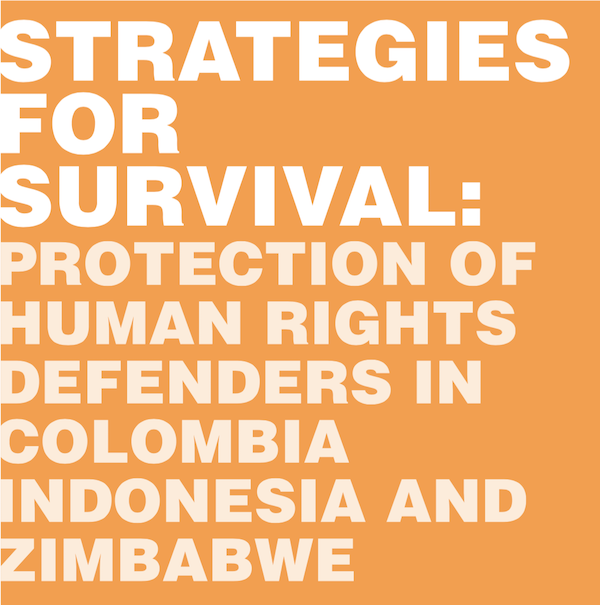 In 2013, Front Line Defenders issued 346 urgent appeals and updates on 426 human rights defenders at risk in 64 countries. It provided 297 security grants and trained 480 human rights defenders. 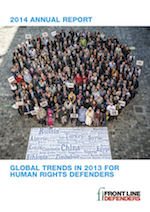 Overall, more than 1,200 human rights defenders benefited from front line defenders’ protection support in 2013. Human rights defenders are some of the bravest people in the world. Every day they face the challenge of survival in situations where simply to be a human rights defender is to put your life on the line.